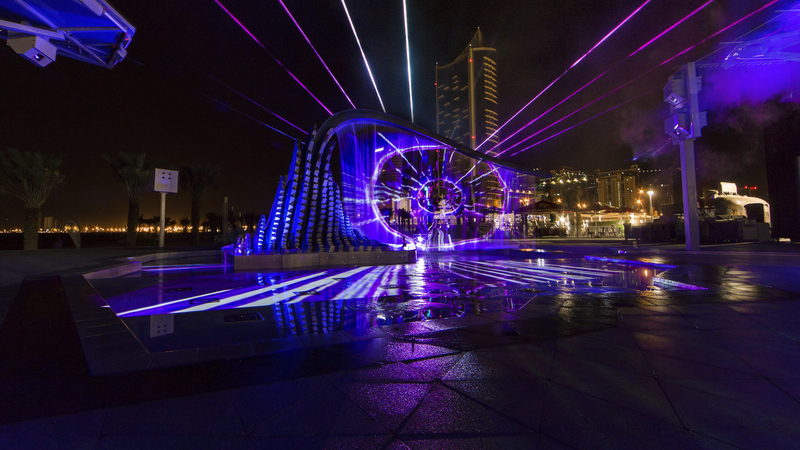 Laservision Mega Media has partnered with Aldar Properties PJSC (‘Aldar’), Abu Dhabi’s leading listed property development, investment and management company, to create Abu Dhabi’s first light and water show at Reem Central Park, the AED 200 million, 1,000,000 square foot modern outdoor lifestyle destination on Reem Island. 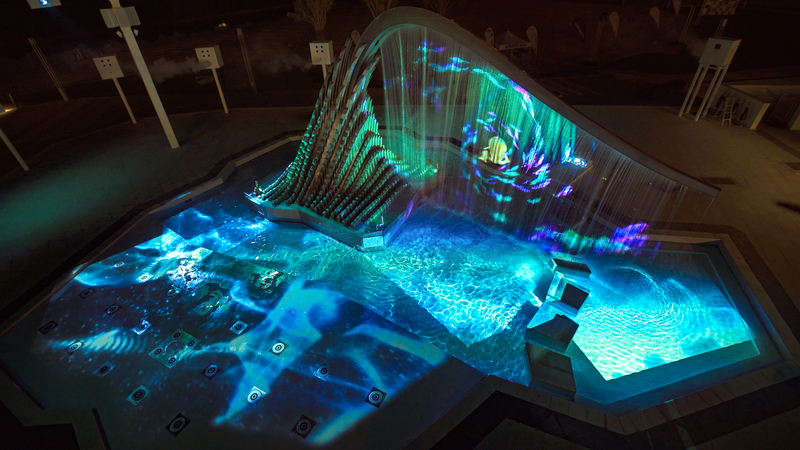 Laservision has created and installed an immersive permanent attraction that features a stunning and modern sculpture fountain that utilizes the latest in entertainment technologies including dynamic fountains, powerful lasers, synchronized LED lighting, underwater projection mapping and drop-screen projection technology. 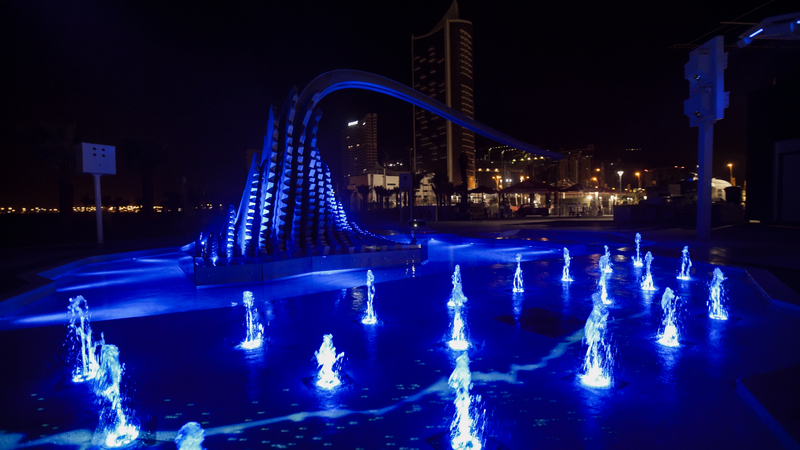 The attraction, which opens on the 1st of December to the public will provide a multi-sensory experience to visitors of Reem Central Park and be the basis for many ground-breaking productions and events. Paying homage to the rich coastal beauty of Abu Dhabi, the first production will be titled, ‘A Day at the Seaside’ and is being produced by Laservision’s award-winning in-house creative studios. Laservision Mega Media has previously produced internationally renowned shows including Hong Kong’s ‘A Symphony of Lights’ which won the ‘World’s Largest Permanent Light and Sound Show’ by Guinness World Records, and the award-winning attraction and production, ‘Wonder Full’ at Marina Bay Sands in Singapore, Southeast Asia’s largest light and water show.